Our family has served the local communities of London, Bromley and Kent for over 135 years. During that time we have consistently provided a caring and professional service individually tailored to every family's wishes and needs. We are always dedicated to deliver our best when it comes to funeral services which has gained us a great reputation as funeral directors. Our branches and services are traditional and firmly based on our family values; ensuring you receive all the support you require. 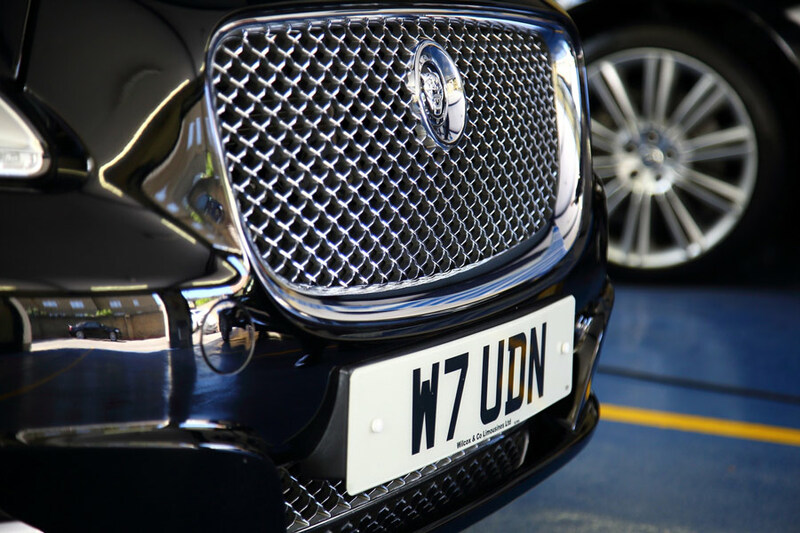 All our branches in London and Kent - Eltham, Sidcup, Biggin Hill, Southwark, Orpington, Bexleyheath - have their own chapels of rest, whilst our immaculate luxurious Jaguar fleet provide your loved one and family and friends, with the dignity that the day demands. A member of our family or team is always available to speak with; via telephone, at our offices, or in the privacy of your own home. We sincerely hope that you find the information you require on our website. However, if you have any questions, please do not hesitate to contact us. Our services are detailed below, and, as you only have one opportunity to arrange a loved one's funeral, please trust our family to look after your family at this time in need. Sorry to take so long in thanking you for the for the excellent arrangements and the superb services for our son Antony. The care and attention we received in your Bexleyheath office and on the day of his funeral could not have been better. We would have no hesitation in recommending your company and your services to anyone looking for funeral directors in London. A superb funeral director with a special thanks to Colin, Steve, and Pa for your support and for taking care of us throughout the funeral service. 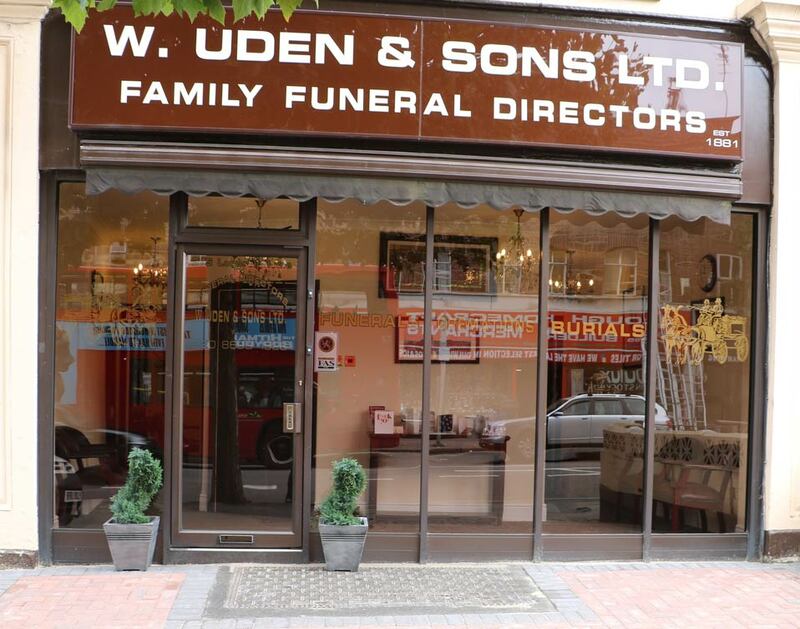 I and my family are satisfied with your quality service that we received in your Eltham office and I would definitely recommend to anyone looking for funeral directors in London. I wanted to express you gratitude, in writing, on behalf of the entire Owen family, for the wonderful services you performed for us last week in your Southwark office. You are all gentleman and true professionals. You carried out your role with expert care and exquisite attention to detail. I would not hesitate to recommend to anyone looking for funeral directors in London. I am writing to thank everyone at Udens Funeral Directors involved with mum’s funeral for helping to turn a sad day into such a beautiful occasion and delivering such a great service. From my initial contact with Len at Petts Wood -Kent- who gave superb ongoing help and advice on the whole procedure and perfect recommendations for the location and celebrant, to visiting mum looking peaceful and beautiful in the chapel of rest and, finally, to the superb professional service from all the Udens team on the day, I could not have wished for any better for my lovely mum. 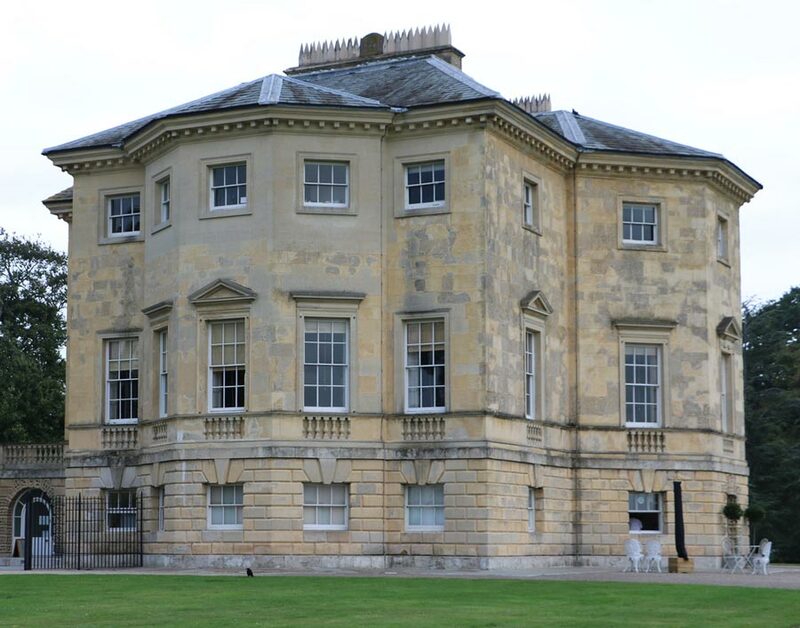 All of my friends and family who attended on the day have had nothing but praise for everything from start to finish, and with Udens’ help I managed to achieve a true celebration of the life of an incredible lady. Dear Nigel and your wonderful team of funeral directors. We wanted to express my gratitude for your support in organising mum's funeral service. The team of staff who were at our side yesterday were brilliant. Thanks so much. I just wanted to take this opportunity on behalf of myself and my family to thank you and you staff most sincerely for all of your help in the organisation and running of my late father’s funeral on Thursday. We were very impressed with the calm and caring professionalism you exhibited in your Eltham office and for all your hard work for making the day run as smoothly and trouble free as it did. Once again, we cannot thank you enough for such a great service. We don't know where to begin to thank you for your kindness and respect shown to us at a time when we did'nt know which way to turn. Every step of the way you guided and advised us and done that all with extreme honour and respect for our dear Husband and Dad 'Tom Mullis'. We have used you four times in the last two years and have been frankly overwhelmed with the service. You go above and beyond your job description. We would just like to express our gratitude to you both for everything that you did for Dad and us. The lead up to Dad's funeral was flawless and you were always there for us. The actual day was perfect! We could'nt have asked for anything more. The respect that you showed us and Dad was exceptional. To you, you may be 'Just doing your job' but to us it all meant so much. A particular moment for Terry was when you let him have the last car journey with Dad in the Rolls Royce. A moment he will never forget and is very thankful for. I just wanted to drop you a note to pass on our thanks for arranging the service for Peter so professionally last Friday. 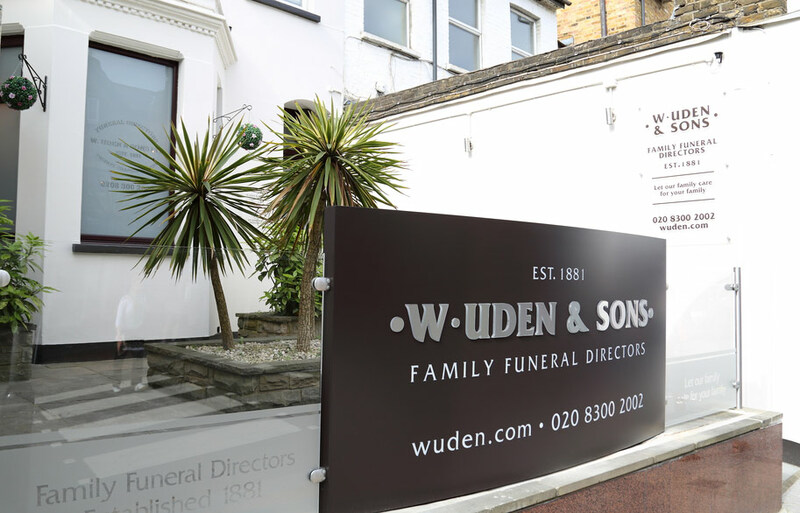 We were initially passed your details by a friend, Jane Ranasinghe, and I certainly will have no problems in joining her in recommending them to anyone looking for funeral directors in London. All your staff were kind, professional and extremely well turned out, and everything ran like clockwork. Your celebrant, Graham Horak did a fantastic job of capturing Peter’s spirit, and with his help and guidance we gave dad a great send off. I want to say a big thank you for the best send off with my Dad! The respect and politeness you all showed our family and Dad was amazing!! You helped me direct both my parents [funerals] and both times you all take our breath away, such a wonderful and gracious service in London. I just wanted to drop you a line to extend our grateful thanks to Darryl and the rest of the team for their utter professionalism attending to the funeral services of our dad Michael Hillier on Friday 18th May. From our initial consultation with yourself to the day of the funeral the guys carried themselves with grace, dignity and respect from beginning to end despite the somewhat colourful conversations in the cars! All the mourners commented on their service and I can honestly say it greatly helped us on the most difficult of days. I would certainly recommend your services to others. There is no way that James and I and our family can ever adequately thank you for looking after us all last Friday. It could not have been a more specially cared for occasion and all the arrangements were more than prefect. Lots of people commented on the style and dignity with which the funeral was taken but that is not surprising. What has touched us so deeply is the kindness and care which you have shown over the past two weeks. Your sincerity in all you have done has touched us all very deeply. I hope you may have some idea of the depth of our gratitude. With all good wishes to Udens Directors. I’d just like to express my gratitude for your great service yesterday when conducting my Uncle’s funeral. Robin Trott 13/7/2018. Everything was perfect and we all admired the attention to detail. Being a florist myself, and of course making the flowers for my Uncle, I was so impressed how the flowers were dealt with, so much care taken when handling them, and a lot of thought displaying them and showing them off. The cars looked stunning. As funeral directors, you were always sympathetic, caring, professional at all times. I would like to express my gratitude to you and your colleagues for everything you did for Geoff, for me, for family and friends from his death to his eventual funeral service and burial. In particular I would like to express my gratitude for your great patience with my indecisiveness, for your efficiency and for the respect and understanding that I was given. I also felt the Pall Bearers honoured Geoff and gave him all the dignity he deserved and I will always be grateful for how beautifully they conducted themselves during the funeral and burial. Both the service and the burial went so well. 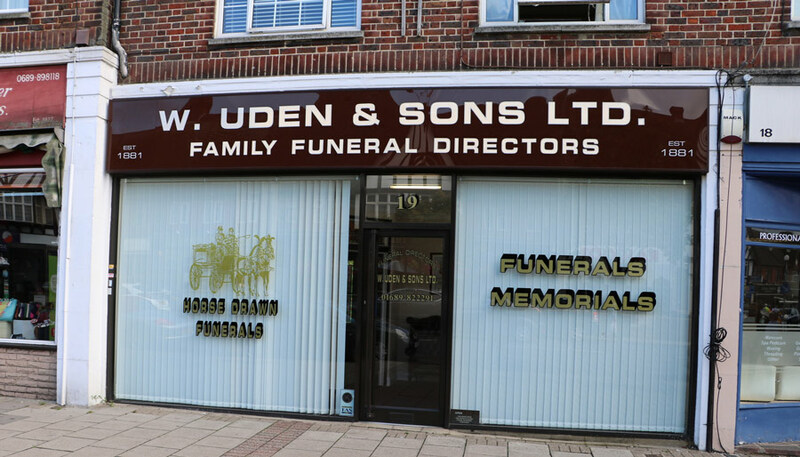 I really felt that we did Geoff justice and Udens as funeral directors played an incredibly important role in that. Fr. Philip also thought that Adrian and the pallbearers were all fantastic. Just a brief line to say a big thanks for the caring, respectful way that you handled the funeral arrangements for my Mum, Olive "Molly" Baker. It has been very much appreciated. 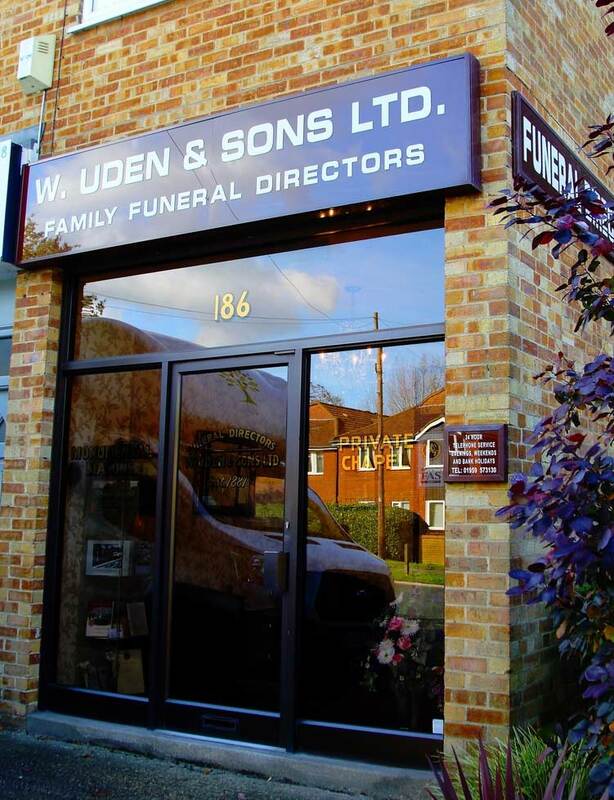 I would not hesitate to recommend W. Uden & Sons Funeral Directors. On behalf of all the family we would like to say a huge thank you for your help and support in organising and preparing for mums/Rosy’s funeral. You were so calm and helpful in our first meeting with you Len, and we were so impressed by the care and attention to detail in every aspect of the lead up to the funeral and on the day itself. Everyone we met in connection with Udens was so calm, kind and respectful. The two guys on the day of the funeral (I’m so sorry as I didn’t catch their names) driving the hearse, were so smartly dressed and all the details we had asked for were adhered to. The day itself was a real celebration of mum/Rosy’s life and it was made better by knowing we were in really safe hands from the start. Thank you for all the time you gave to us over the three weeks. To every single person involved with my beautiful sister, Pat Ashton's, funeral. It was obviously a desperately sad day for us, but you made it special for her by your sheer professionalism and exquisite touches of pomp and ceremony. Pat would have loved that. Thank you again on Pat's behalf and from all her family. We were very impressed with the dignity and professionalism of your team at Anne's (AnneTurp) funeral. Your kindness and expertise were very much appreciated. We wish you all well for the future. Steve & I would like to thank you both & your team for the very caring & professional service we received recently when you looked after our Mum (Peggy Degerlund). Thank you for making our day run so smoothly & for treating us all with such kindness & dignity. I just wanted to say thank you for the kindness and support shown towards my family during these dark days. Your professionalism from looking after Dickie, helping me make the correct decisions, showing you cared and the way the day went. For all of that I can't thank you enough. I've even managed to smile talking about you gents about my darling Husband. Once again thank you from the bottom of my heart. I should like to thank yourself and your colleague, Adrian and the team on the day, plus Spencer at the beginning. It was a pleasure to meet you all given the circumstances! Uden's services regarding all aspects of handling Winifred Joyce Sturgess's funeral arrangements etc were excellent, sympathetic and very professional. Once again, thank you all very much indeed. Clive Sturgess ( on behalf of the Sturgess family ). Thank you for the very well arranged funeral for my Mother Jill Leone. The service was impeccable and very thoughtful. Very much appreciated. We would like to say a sincere thank you and express our utmost gratitude for the beautifully dignified and graceful farewell you gave our dear mum Doreen Callahan. The wonderful way in which you and your team handled everything, with such kindness, respect and professionalism was impeccable. Our dear mum would have been so proud. Thank you so much for all the care and thought and kindness you put into making my daughter, Rachael's funeral such a beautiful service. From the first meeting with all the family, through the care taken with Rachael's body in the chapel of rest, to the service itself, you couldn't have done a better job. We wanted to let you know how grateful we are for your help in organising Saturday. From that first difficult conversation we had about Mum’s passing, right up to the conversation the day before the funeral about family challenges - you’ve been so supportive. We really appreciate it all. Everyone commented on how well it went and how professional, courteous and discreet the team were on the day. We couldn’t have asked for more - please pass on our thanks. It was of course a sad day, but was also a celebration of Mum’s life and Uden’s helped us achieve that. We would like to say a sincere thank you for the most wonderful service that you conducted for our mum Doreen Callahan. You made the service so special and comforting and we know our mum would have been very proud. Everyone commented that it was one of the most beautiful funerals they had ever been to. Thank you so much for making this such a special and memorable moment for us all. Laraine, Michael, Stephen and John Callahan. Just a short note to thank you for making our beloved mother's funeral the best it could be for such a horrible situation. Our mum hated drama or flashy situations being the lady she was & you managed to keep the day classy & low key as she would have wanted. For that we all thank you. To Nigel and all the staff. We just wanted to thank you all for the way you handled the arrangements for our Dad's funeral ( Robert W Jenkins ). You were kind, considerate and the service you provided was faultless. I would like to offer my heartfelt thanks and gratitude to your family's business, following our tragic loss. My baby grandson was born asleep, way before his due date of birth. Baby Poppet Morgan was looked after by the wonderully kind and reverent Nigel at your Biggin Hill branch. I cannot speak highly enough of Nigel; he was unfailingly sympathetic, very genuine, courteous and kind. My daughter ( Poppet's mum ) and her husband were unfailingly shown respect and kindness by Nigel. When they visited Poppet whilst in Nigel's care, he always went beyond the call of duty and his consideration of me was also wonderful and sincere. We could not have chosen a better and more supportive firm at our time of need or found a more caring individual than Nigel. Can I also take this opportunity to mention Darrell; he drove the hearse on the day of Poppet's funeral and was also supportive, respectful and caring to the grieving parents. Your staff are a credit to your business and I thank you and them for this. In lieu of your absent charging for the funeral, we will be making a donation to ARC ( ante-natal result choices ) charity in honour of our darling Poppet. We would like to say a sincere Thank you for all the kindness and care you put into dad’s funeral. Right from the start, the team handled everything with such respect and professionalism. Your guidance and support on the day was so appreciated and we are so grateful to you for this. I just wanted to personally say a massive "Thank you" to you, Andrew and all of the team for such a professional and wonderful service for Auntie Hilda. Everyone was made to feel at ease, and Andrew was so supportive and helpful. You and everyone at Udens have turned, what could have been a difficult and traumatic event, into a true celebration of Auntie's life. I will, of course be back, when the time comes to lay Auntie to rest with Uncle Don and hope to see you then. Until then...I send my very best regards. Dear Nigel, Spencer and all the team at Udens. 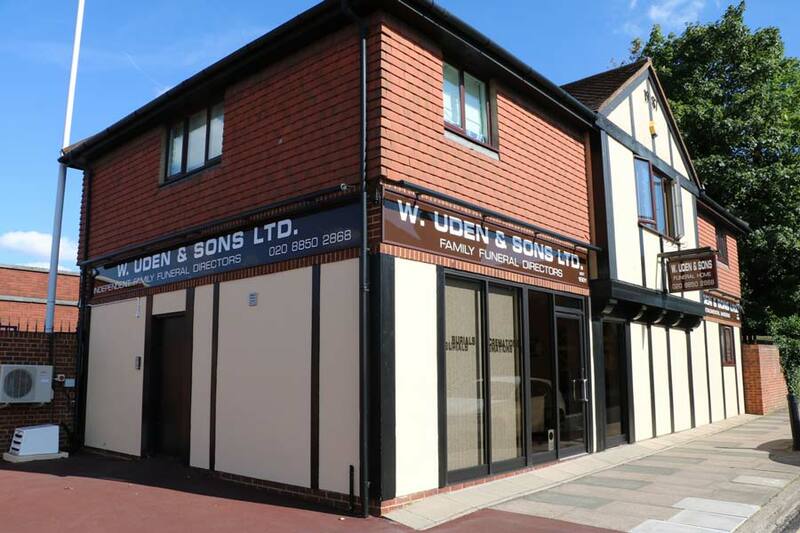 Thank you all for your wonderful service and attention to detail at Uden & Sons. Mum's ( Yasmin I Khan ) funeral on 09/01/19 was as perfect as we could have hoped for and you managed to help us find exactly what we needed throughout the process. The professionalism, respect and compassion of everyone at Udens helped to create a moving, dignified and elegant farewell. 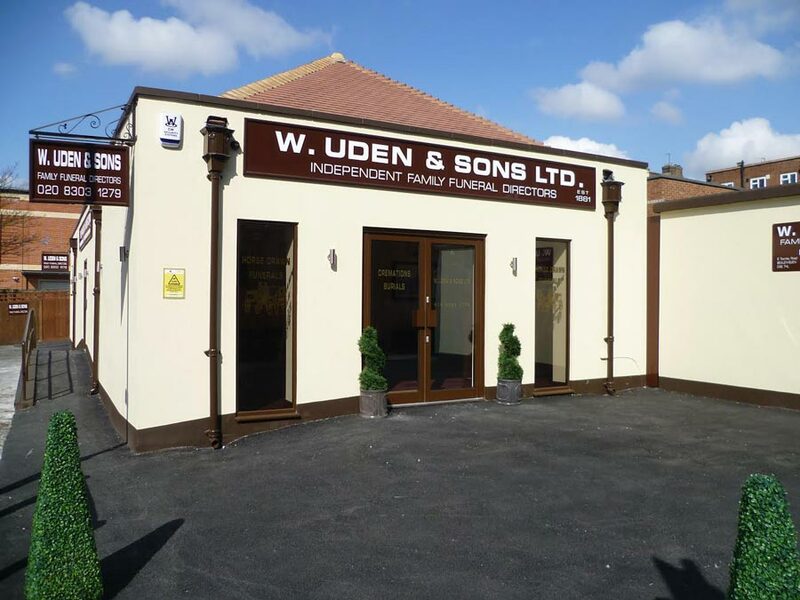 Many people commented on how lovely the service was and we would definitely recommend Uden and Sons to anyone in need of a funeral director. Once again, thanks for the professional and caring service you provided us with. from Samina, on behalf of all Yasmin's family. Thank you so much for all the wonderful work you did in preparation for Dad's funeral, Patrick Mahoney. We were so pleased with the service received and thank you again. Jean, Keith & Geraldine Mahoney. To All At Udens, just a note to say thank you all so much for all the care and support you all showed to Ashton, myself and our family. Your kindness was greatly appreciated. Thank you to all at Uden's for looking after Val on the lead up to the funeral and for her safe arrival to the crematorium. Special thank you to Nick for the preperations and Spencer for ensuring the day went smoothly. You will definitely be recommended by us in the future. Thank you Nigel for organising Grace Harris's funeral last Tuesday. Everything was so beautifully done by all the attendants and carried out with full dignity. Yesterday you provided the service to my fathers funeral Ray Bentley, I’d just like to say on behalf of all of us what a wonderful job Spencer and his team did. It really meant a lot to us all. From the first meeting to the day of the funeral you were professional and courteous throughout. Once again we thank you. I just wanted to thank you for delivering a professional and dignified service for Dad last Thursday. Your input and support prior to, during and after the service was truly appreciated and I also received feedback from the guests who noted that it was a really polished service which you all provided. The way in which you looked after Dad at Uden’s and during the funeral was respectful and will be remembered always. Once again, thanks for everything you did for us, I would have no hesitation in recommending you to others. Over many years as funeral directors we have tried probably anything and everything to make our fleet stand out from the crowd. Nothing makes me prouder than a simple comment of “Wow, look how clean your cars are!” or “That's the shiniest car I’ve ever seen!”; mainly because we spend an awful lot of time and money in making them look in showroom condition and there has been so much effort that has gone into making them look the way that they do. 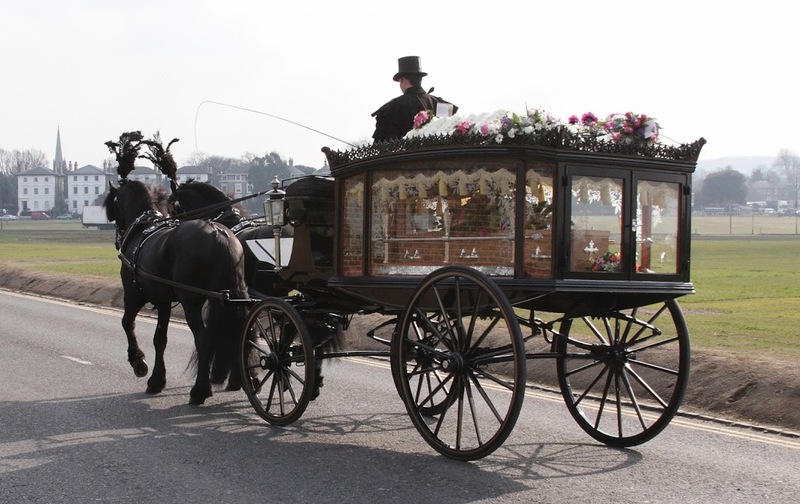 As funeral directors in London, we often get asked about the correct etiquette at funerals in the United Kingdom, the order in which the service should take and so on. Our answer is always the same, lets make this service what the family and of course the deceased would have wanted. Of course a framework and a plan is necessary but there are many different types and formats during funerals these days that bespoke funerals seem to be the most fitting way to say goodbye.